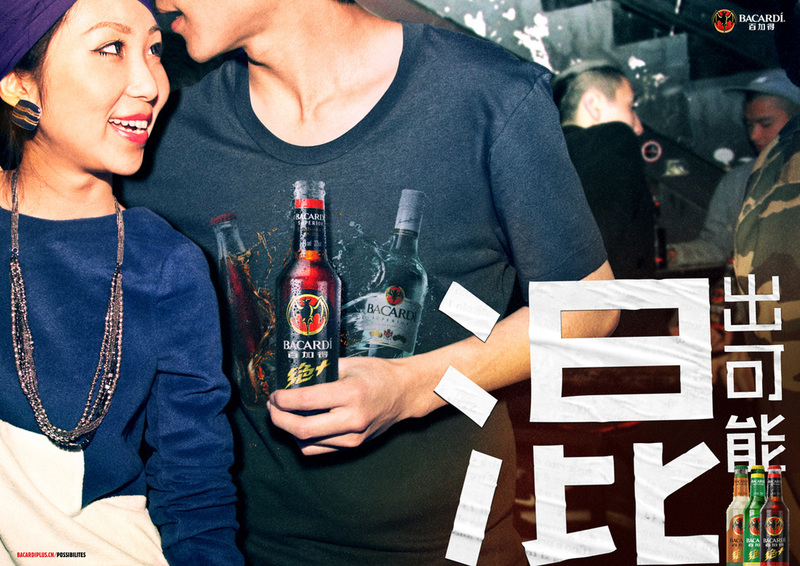 Bacardi Plus brand launch - Young chinese revelers were encouraged to "Hun" for possibilities. 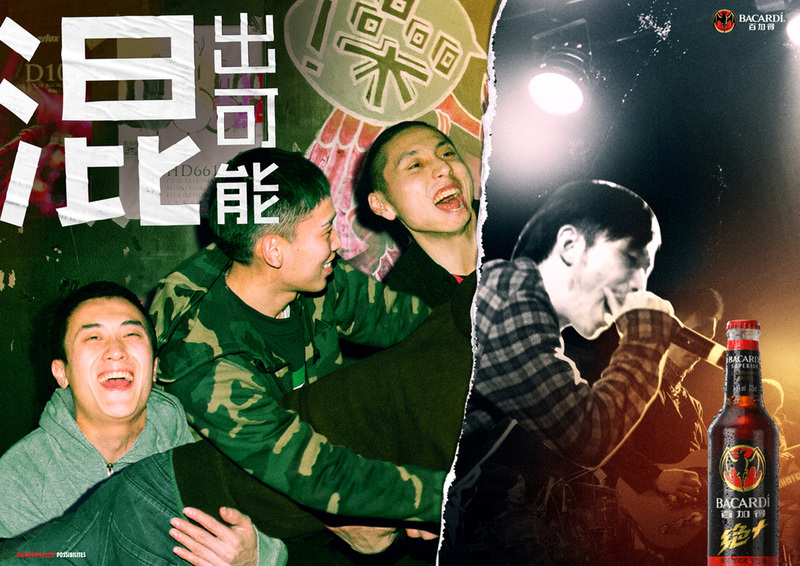 The idea of hun has several meanings - to mix, mingle, interchange - and our target was inspired to do this socially, and taste it in beverage form with Bacardi's new pre-mixed drinks, in TV and print. 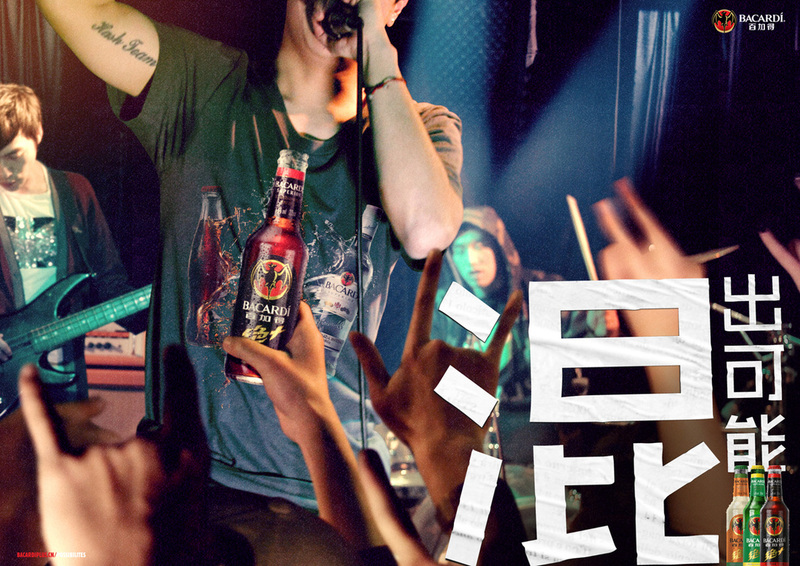 Bacardi Superior brand key visual. 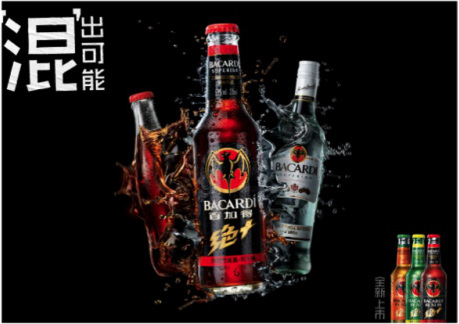 Giving Bacardi a positioning as a the quintessential "mixer" and party maker for the young Chinese consumer unaware of rum.